Tecnifuego, the Spanish fire trades association and EFSN member, has published a press release about Spanish fire losses. Conducted by the Spanish Insurance Association UNESPA, the data shows that 184 people died, of whom 144 in the home, an increase of 8% on the previous year. Fire losses reached €525 million in terms of insurance payouts. This does not include uninsured losses. Sprinklers are an extremely effective measure to prevent fire deaths, injuries and losses. Since 2003 the EFSN has advocated their wider use across Europe to relieve the burden of fire on our society. For the full press release see Tecnifuego press release. 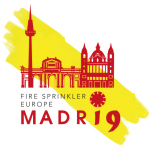 The European Fire Sprinkler Network (EFSN) is a coalition across the fire safety, political and other relevant communities which encourages the greater use of fire sprinklers to save lives and protect property and the environment.